Back in June my mom, sister and I spent a weekend at the Oregon Coast. Getting just the three of us together was long overdue and much needed. My mom found an apartment with a patio that looked out over the ocean and I have to say, staying at the beach is always better when you can go to sleep and wake up to the sound of crashing waves, am I right?! This particular weekend the temperatures were over 90 degrees! Yikes! That's some extreme heat for this coastal town. Where we stayed: This apartment The best part about this apartment was the balcony/patio overlooking the ocean. 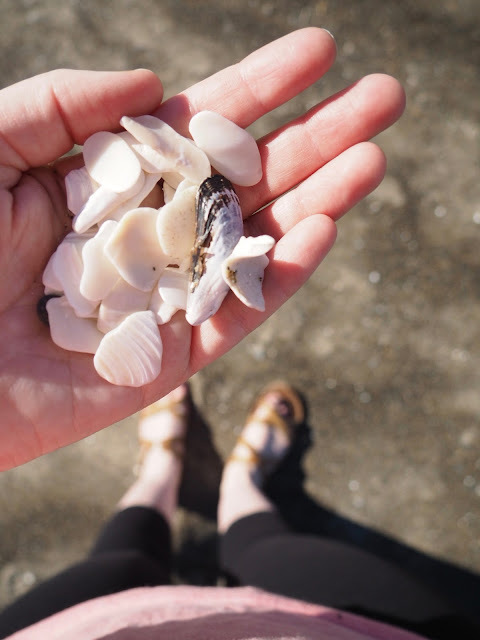 What we loved: What's not to love about the Oregon Coast? I've been coming here since I was little. The Oregon Coast holds so many memories from my childhood and growing up throughout the years. It's a great place to relax and recharge. The Lincoln City Kite Festival took place on our weekend visit, so I purchased a mini kite for $10 and ventured out on the sand to fly it with the big kites, haha!